April Fools! : Blog Of The Nation April is the cruelest month. In a move that will shock traditionalists, Her Majesty Queen Elizabeth II today announced that Buckingham Palace, the official residence of the British monarchy since 1837, will open its doors in October this year to paying hotel guests. Mr & Mrs Smith, the London-based boutique-hotel specialists, will handle all bookings. "'We're aware that many will be surprised by Her Majesty's decision to open up a wing of her London residence,' says Royal Press Secretary Oona Abrillo," the message continued. "'But, in the light of recent events, she feels that the time is right to do so.' For more information, or to make an advance booking at The Royal Windsor Palace Suites, please view here. "This is great," I thought, especially in light of the show we're doing on European travel today. At our morning meeting, I pitched it. "I got an email this morning, forwarded from someone who lives in England. 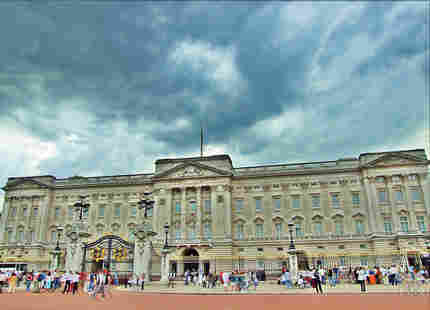 They're opening part of Buckingham Palace to the public." After the meeting, I went back to the email, to send it to Ashley, who produced the segment. I clicked the link. Between the Buckingham Palace email and "New! Gmail Custom Time," I've already fallen for a few pranks today. At the end of the second hour today, we'll talk to Eric Wilhelm, of Popular Mechanics magazine, who has suggested five pranks you could pull on your coworkers today. Have you fooled anyone in your office? Tell us your best prank.